More about iittala Toikka Stellar Jay With only 200 numbered birds produced, the iittala Toikka Stellar Jay is both a beauty and rarity. 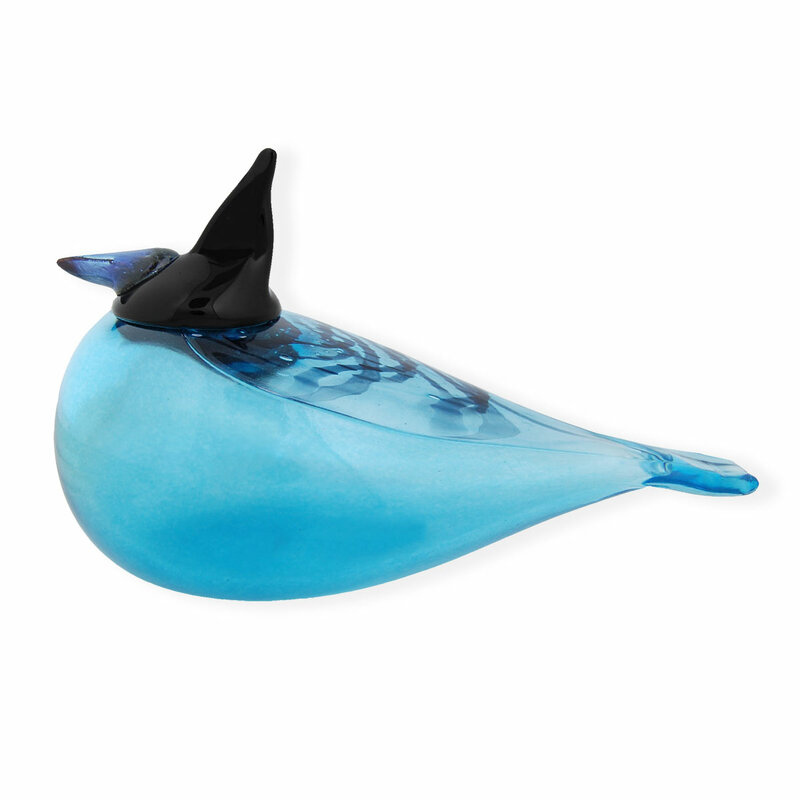 Designed by Oiva Toikka for the Museum of Glass, it is exclusive to GlassBirds.com, its partner sites and the museum. Both in nature and Toikka's interpretation, a black head differentiates Stellar Jay from the common blue; because of this striking crown, it is also called the long-crested jay. The thick opalescent beak beautifully picks up the coloring of the translucent yet vivid mouth-blown body.Handcrafted feathering on the upper back is a thoughtful detail, the variety of which only adds to the uniqueness of each glass art piece. Each one-of-a-kind iittala Toikka Stellar Jay carries �O. Toikka IITTALA MOG 2015� and x/200 on its base to ensure authenticity.